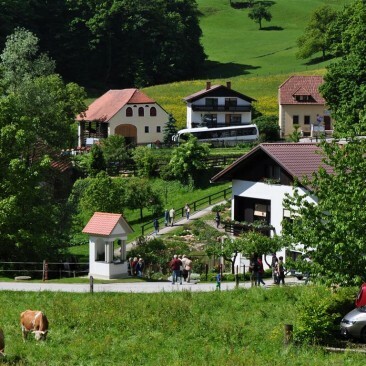 In 2009, the village of Olimje won the Golden award for the most beautiful village in Europe. 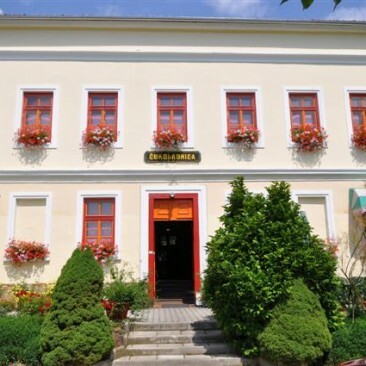 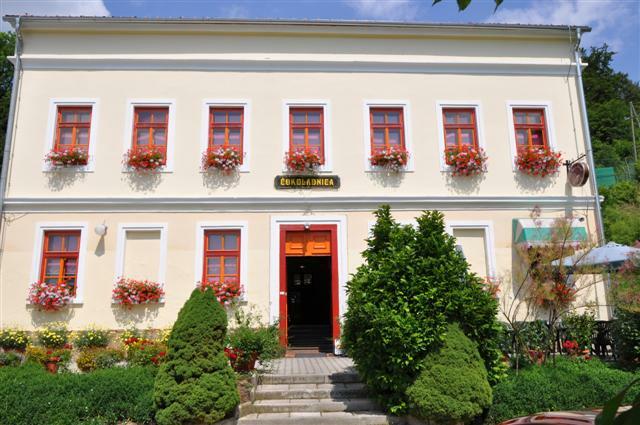 The immensely popular tourist spot is the Chocolaterie Olimje. 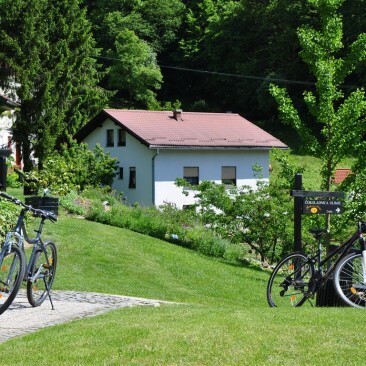 It is located opposite the Monastery of Friars Minor Conventual of Olimje.The short walk, along an idyllic path, takes 2 minutes. 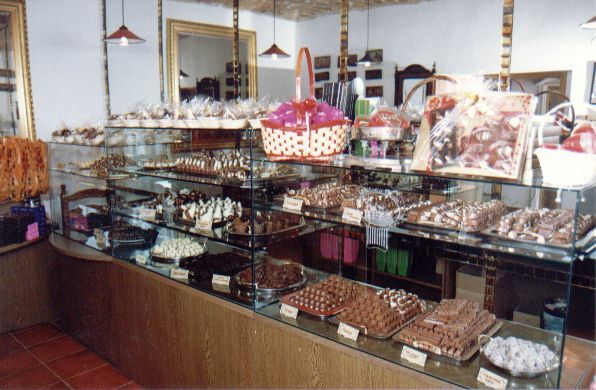 There are also two huge parking areas in front of the Chocolate boutique Olimje. 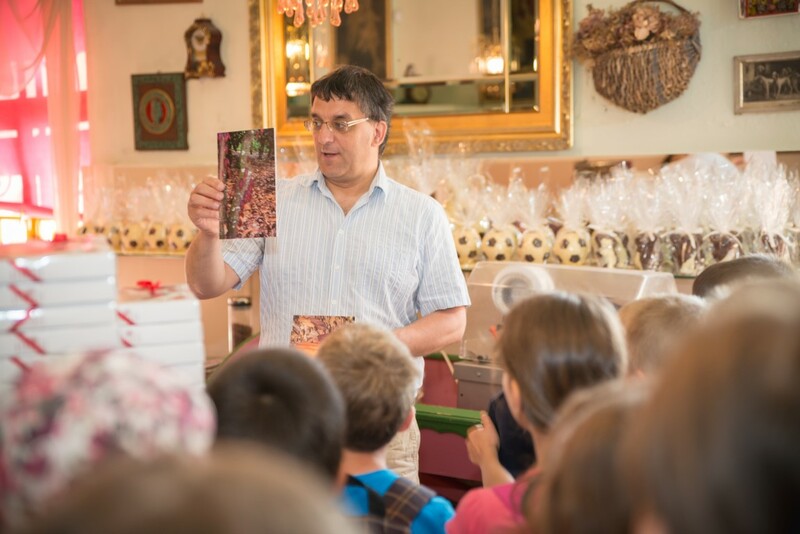 Each quest entering the chocolate boutiques must first take in and enjoy the chocolate aromas permeating the air. 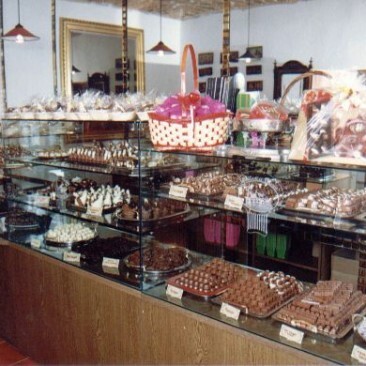 After looking through the enormous range of products – from boxes of chocolates to unpackaged pralines, chocolate bars, chocolate figurines, and jelly – you soon discover that is it not simple to decide what to buy. 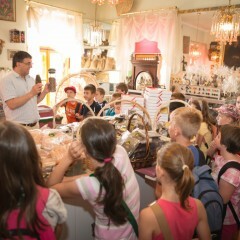 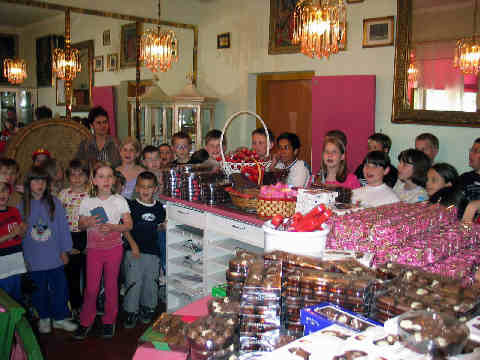 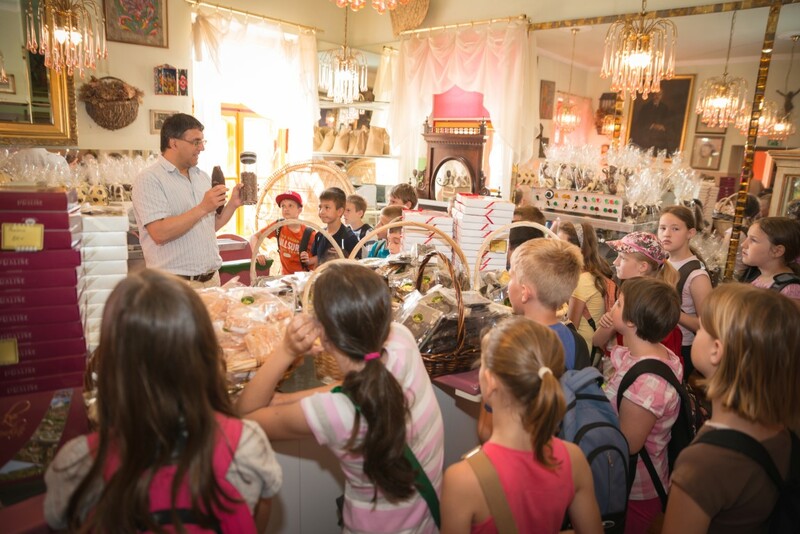 In Chocolate boutique Olimje, we’ve prepared a small presentation for large groups. 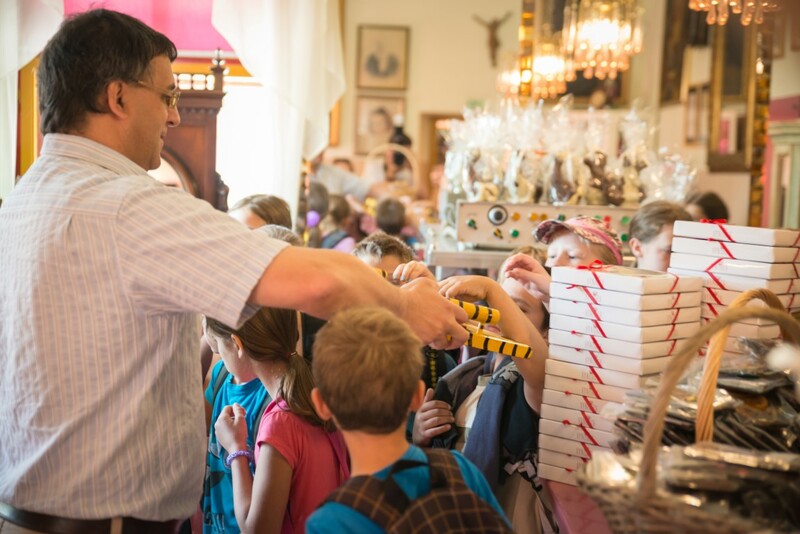 It’s recommended that groups announce their arrival beforehand, so we can prepare small chocolates for degustation. 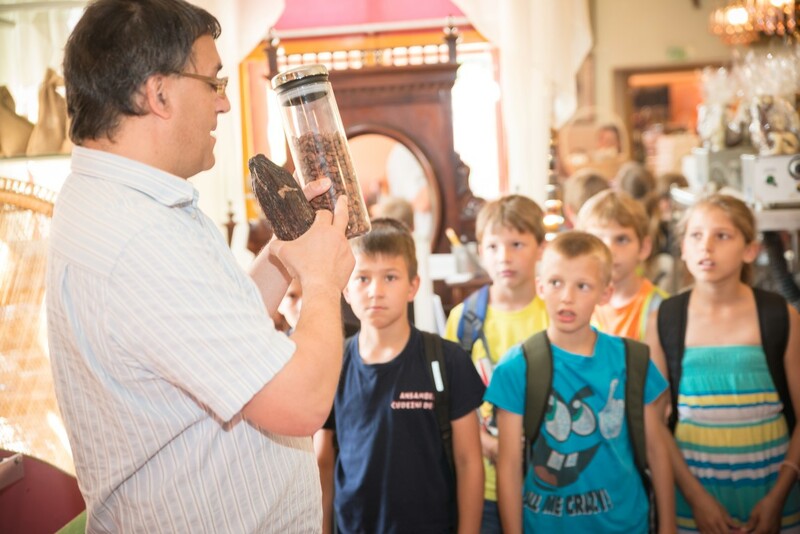 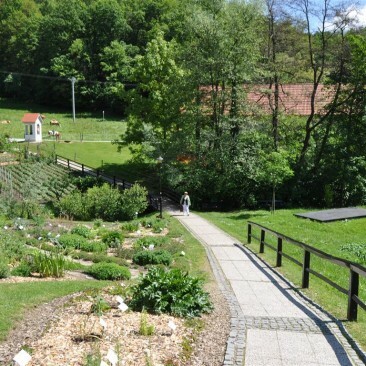 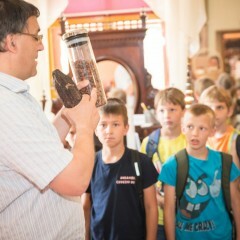 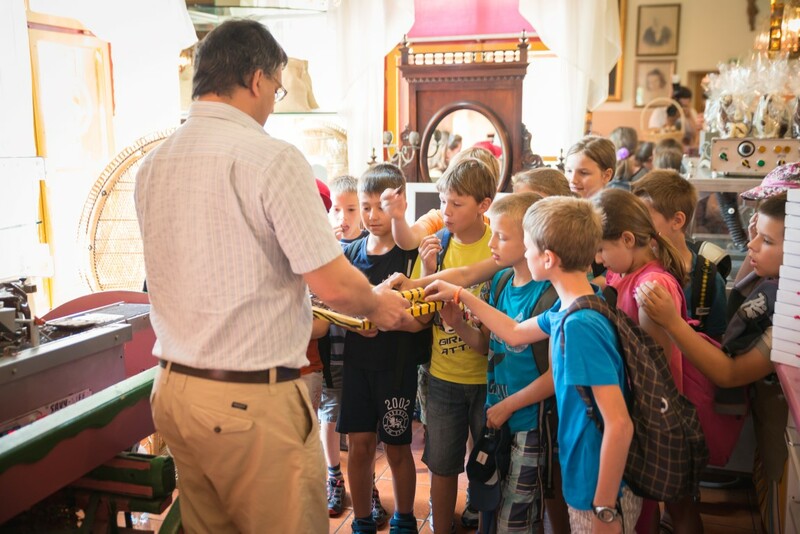 Each year, we welcome quite a few groups: school children and youth from May until the end of the school year, tourists from Slovenia and the rest of Europe during the summer, and older generations from September until December. 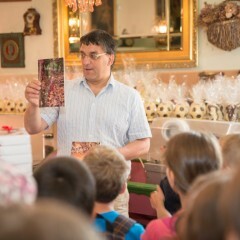 Each group announced in advance is treated to a presentation of our history and a short description of chocolates and pralines. 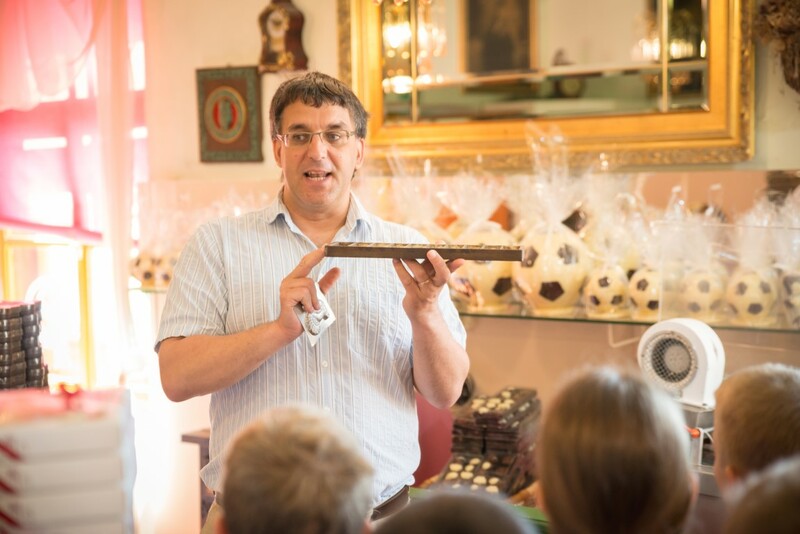 In the large boutique, we exhibit two machines for coating and modelling, which we use to show how chocolate flows. 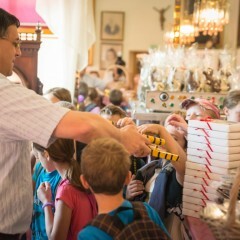 At the end, each visitor is treated with a 3-gram milk chocolate. 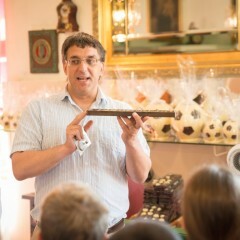 The presentation is free of charge. 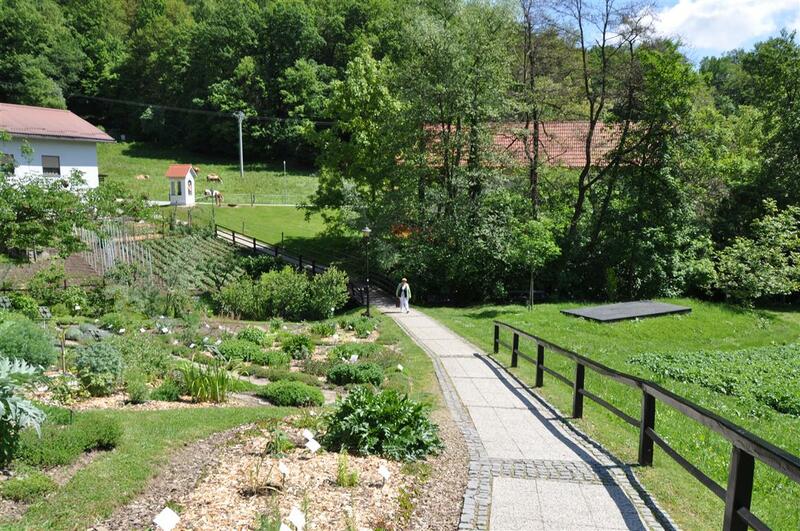 We do not show the production, since we are limited by space available and the HACCP hygiene standards. 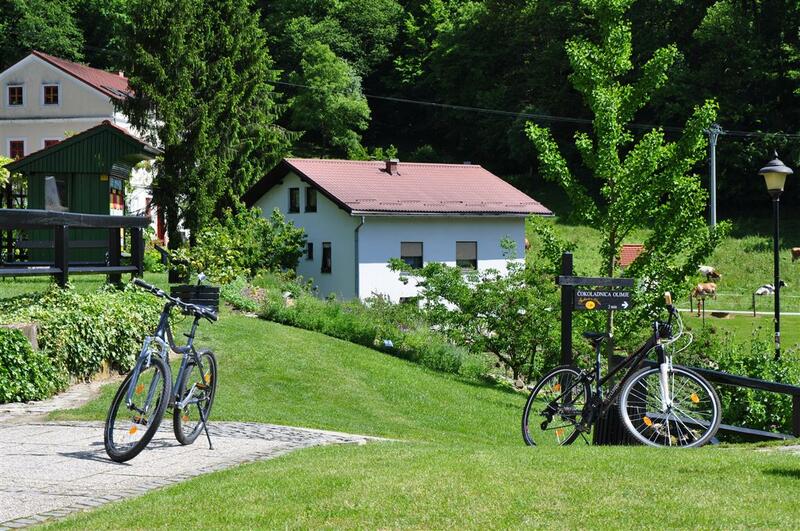 When you visit the golden village of Olimje, you definitely shouldn’t ignore other sights of our village. 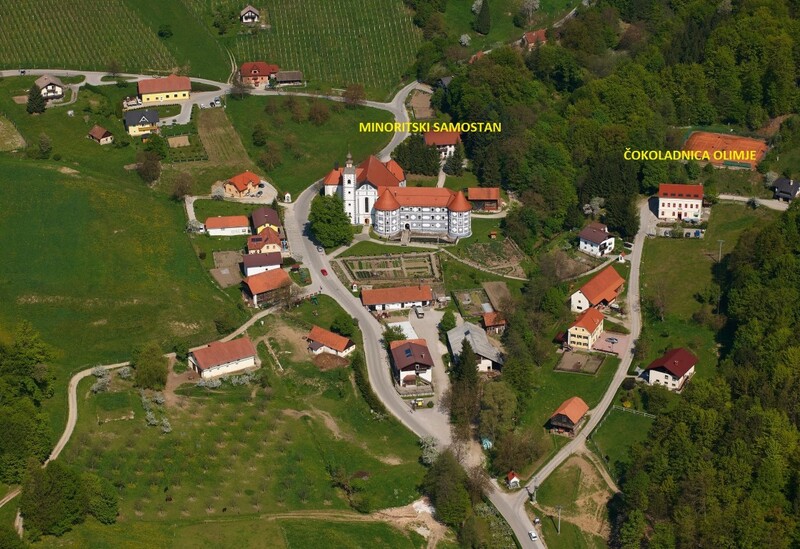 A bit further from the Monastery is Jelenov Greban, where deer graze on an enormous ranch. 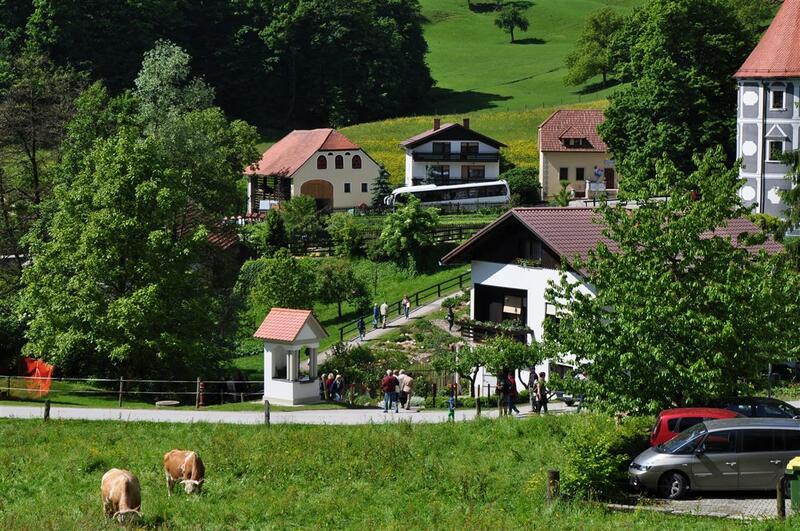 Three kilometres from Olimje square is the Land of fairy tales and imagination, where fairy-tale creatures dwell. 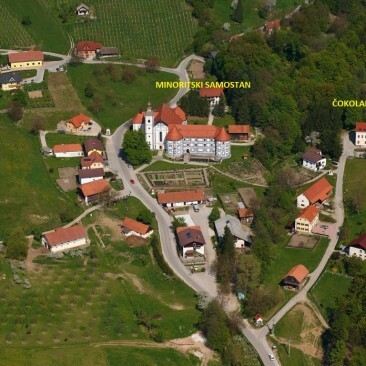 The village of Olimje also has its own brewery and pub Haler s well as a golf course with the inn Amon.You also can not skip the pool complex Terme Olimia in Aqualuno, located close by.